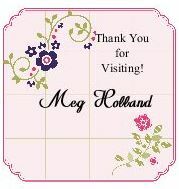 Megumi's Stampin Retreat: Stampin' Up! Sale-A-Bration starts TODAY! It's finally HERE! Sale-A-Bration, Stampin' Up! 's biggest promotion of the year, begins today and runs through March 31, 2012. Now through March 31, 2012, earn a FREE Sale-A-Bration product for EVERY $50* you spend on Stampin' Up! products. Items on the online Clearance Rack can be included in your online order and count toward your total to earn Free Sale-A-Bration products. FREE Tote - Get a FREE shopping tote when you host a $150.00* workshop. This offer does not include online orders. * Excluding shipping and tax. To view the Sale-A-Bration brochure, click HERE. Join Now for just $125 (Save $50 on the Stampin' Up! Starter Kit). Includes up to $340 in products and ships FREE. Choose and customize either the Standard or Digital+ Starter Kit. Sale-A-Bration Bonus Offer - Get FREE Designer Series Paper ($10.95 or less) or a digital download every month for the rest of 2012. New Demonstrator may alternate between Designer Series Paper and digital download each month.